"Sir Christopher has achieved remarkable breakthroughs and been a mentor to many other scientists"
Professor Christopher Dobson has been knighted in the Queen's Birthday Honours 2018 to commemorate his illustrious scientific career. The Birthday Honours recognise the achievements of a wide range of extraordinary people from across the UK. Sir Christopher, Master of St John’s College, one of the largest and oldest of the Colleges of the University of Cambridge, was honoured for his contributions to Science and Higher Education. Sir Christopher is one of the world’s leading scientists working at the interface of the physical and biological sciences. Amongst other high-profile scientific achievements, in 2013 he co-founded the £50 million Cambridge Centre for Misfolding Diseases (CMD). Scientists at the Centre focus on analysing the origins of neurodegenerative conditions - such as Alzheimer’s and Parkinson’s diseases - which occur because of ‘misfolded’ protein molecules. The experimental work by Sir Christopher and his inter-disciplinary research team has led to remarkable breakthroughs in the field. Professor Tuomas Knowles, a co-founder of CMD and a Fellow of St John’s, said: “Sir Christopher's landmark discoveries over the past 30 years have truly transformed our understanding of misfolding diseases. The honour of knighthood comes from the days of medieval chivalry, as does the method used to confer the knighthood - the touch of a sword by the sovereign. It is conferred for an outstanding contribution in any field of activity. 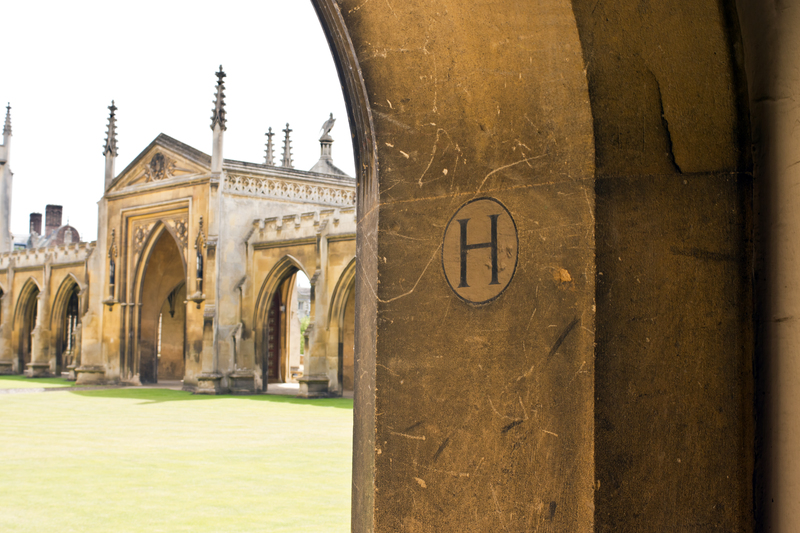 "I cannot express strongly enough how much I value the encouragement, support and friendship I receive at St John’s"
Sir Christopher was educated at the University of Oxford and became an Assistant Professor of Chemistry at Harvard University before he returned to Oxford as Professor of Chemistry. In 2001 he moved from Oxford to the University of Cambridge when he was appointed as the John Humphrey Plummer Professor of Chemical and Structural Biology and elected a Fellow of St John’s College. He became Master of St John’s College in 2007. In 2016, three years after he co-founded the Cambridge Centre for Misfolding Diseases, he also co-founded Wren Therapeutics, a start-up biotechnology company whose mission it is to take the ideas developed at CMD and translate them into finding new drugs to treat Alzheimer’s disease. Sir Christopher paid tribute to the University of Cambridge and the Department of Chemistry for their support and encouragement. Lord Nigel Crisp, an Honorary Fellow of St John’s and independent crossbench member of the House of Lords where he co-chairs the All-Party Parliamentary Group on Global Health, commended Sir Christopher’s “exceptional” leadership in science and education. He said: “This award is very richly deserved. Sir Christopher is one of the country's leading scientists who has achieved remarkable breakthroughs and been a mentor and inspiration to many other scientists. Sir Christopher also has an important message of hope to share about the diseases he has dedicated his life to combating. 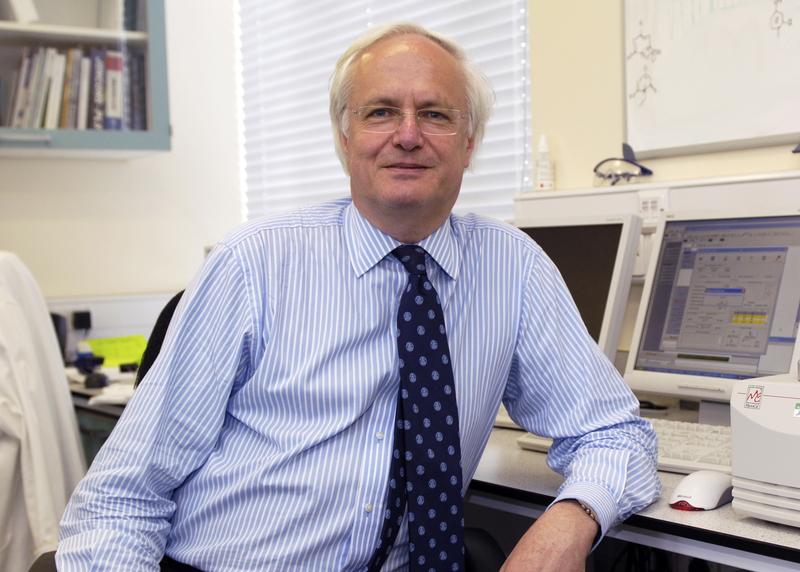 Sir Christopher has been credited with transforming the careers of many scientists including Professor Dame Carol Robinson, now of Oxford University, who said: “His many contributions to our understanding of protein misfolding diseases have changed our view of this important branch of science and informed potential therapies. Sir Christopher paid tribute to his friends and family for their “unstinting support”.